As households prepare their budgets for festive season shopping splurges, now is an ideal time to unwrap the financial strategies that help borrowers gain greater control over their home loan situation, according to Australia’s largest independently-owned mortgage broker, Mortgage Choice. ‘Tis the season to bring budgeting back on track. 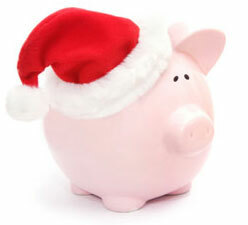 Get your Christmas and new year budget underway if you haven’t already. Be sure to include seasonal spending estimates for gifts, treats, catch ups, celebrations and other holiday outings. Your local Mortgage Choice broker can provide simple, practical budgeting tools for greater control over your spending, savings and loan repayments. ‘Tis the season for a home loan health check. Are you making the most of your loan? There may be features attached to it you are not utilising or are paying a premium for. A regular home loan health check is a great way to see if you are making the most of your existing loan or if you are better suited to a different lender and/or product. Before switching, carefully weigh up the pros and cons by comparing loan features, rate, repayment type and frequency, accessibility, fees and more. ‘Tis the season to keep repayments steady, despite recent rate cuts. If your loan’s interest rate has recently dropped, get ahead by continuing to repay at the original, higher rate. For example, take a loan of $300,000 at 7% over 30 years. If your rate reduces by 0.25% to 6.75% and you keep repaying your loan as if the interest rate was still 7%, you could shave over two and a half years off your loan term and save more than $54,000 in interest owed. ‘Tis the season to go one step further and round up repayments. If the monthly repayments on the above mentioned loan maintained at the higher rate are rounded up from $1,996 to $2,100 from day one, it is possible to cut a further three years and seven months off the loan term and save an additional $55,000 in interest owed (if all loan aspects remained the same). The total savings would equal $109,000 in interest and a reducition in the loan term to 24 years and 8 months. ‘Tis the season to turn up the frequency of repayments. Depending on your loan and lender, dividing your monthly minimum repayment in two and making fortnightly repayments instead may also save you interest owed and reduce the loan term. There are 12 months and 26 fortnights in one calendar year; by paying fortnightly, you make the equivalent of 13 monthly repayments. The savings on the above mentioned loan equal almost $100,000 in interest and almost six years off the loan term.